I am Rainie Carlson, Scientist (Biotechnology), by profession. But I have another part of my life too - DOGS. I am a dog lover, like many around me. I have four shepherds, two salukis and two dachshunds. Whenever I get time, I stay back home and look for dog information over the web. Just today I noticed your site. It is too good - especially this FAQ material is worth mentioning. 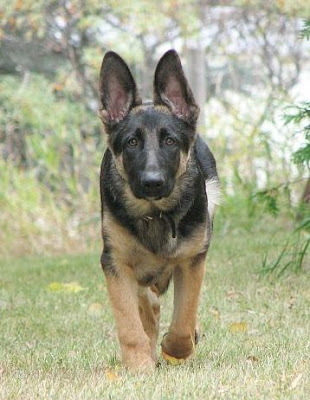 I found very little GSD sites that give such great deal of German Shepherd Dog information that are worth reading.